I love honey. Years ago, I even shared a little honey tasting between a few honeys I had on hand. It was really interesting, but by no means a professional tasting. Honey is definitely my favorite sweetener, but there's still so much left to learn about this fascinating food. For one thing, it seems almost magical how honey bees can create honey from nectar they collect from flowers. Even once it's explained, it still manages to blow my mind. 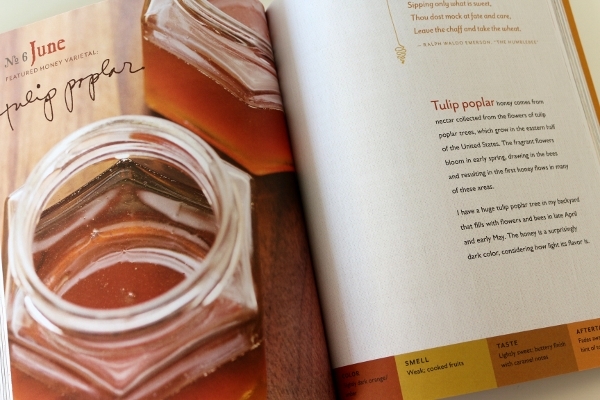 I was excited to check out The Fresh Honey Cookbook by Laurey Masterton when Storey Publishing sent me a review copy recently. Masterton is a chef and cafe-owner who is also a beekeeper. The book shares a really interesting perspective on beekeeping, sharing stories of Masterton's mishaps and successes nurturing her own hives. It also shares a Honey Flavor Wheel and great notes on tasting honey, along with analysis of 12 different honey varietals throughout the year. In addition to discussing honey, Masterton also features a lot of fruits and vegetables that require pollination by honeybees in order to exist. 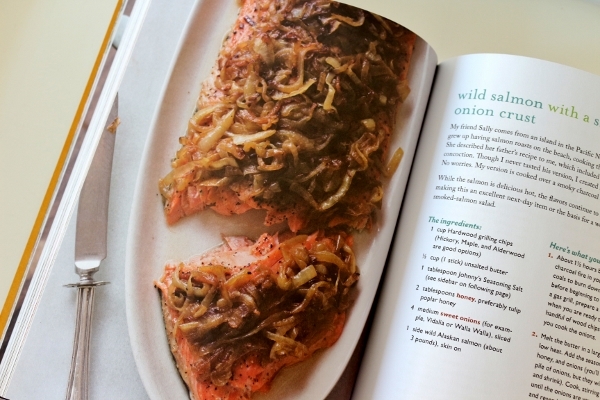 A full list is available in the back of the book, and all of these ingredients appear in bold letters in the recipe ingredients lists. 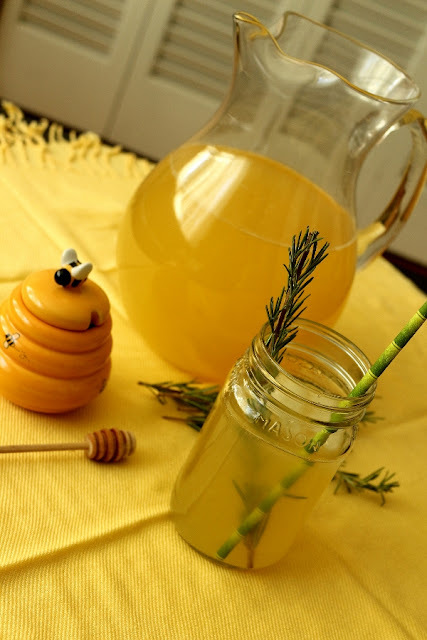 Although many recipes in the book feature honey, a lot of them actually do not. They do include other ingredients that bees pollinate. The title of the book is quite misleading, as it would likely cause one to expect that honey is actually featured throughout the book. Although it's featured in many recipes, keep this in mind. I still enjoyed the book overall, but I definitely had different expectations due to the title of the book. It does include LOTS of great information on honeybees, beehives, the differences between all the types of bees in a hive, how honey is made by bees, how it's harvested, health benefits of honey and other honeybee products, and more. If any of this interests you, this book is a treasure trove. I have tried a few of the honey varietals featured in the book, and as a honey-lover I was especially excited to try more of them. I decided to purchase a couple new-to-me honeys to try out. The book includes a great resource page for finding the various honeys mentioned in the book. Purchasing directly from some of the websites mentioned in the book can actually be quite expensive for shipping. I actually did a search on Amazon to see if I could find some of these honeys from reputable sources with free shipping. 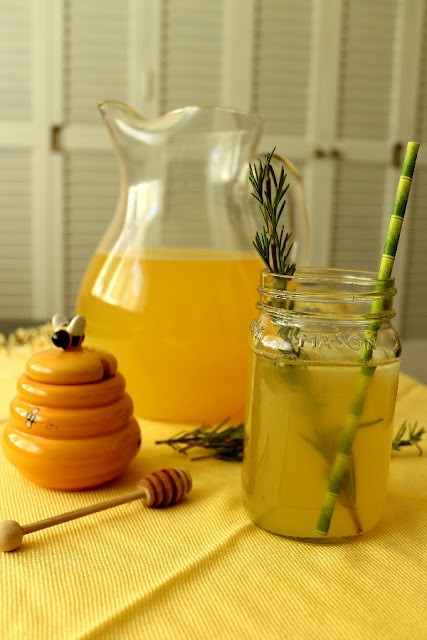 I decided to try out some sage honey (especially because I was dying to try the Rosemary Lemonade with Sage Honey, and the California-Style Baby Back Ribs with Sage Honey also look really appealing), as well as sourwood honey, which according to the book has a reputation as being the best in the world. 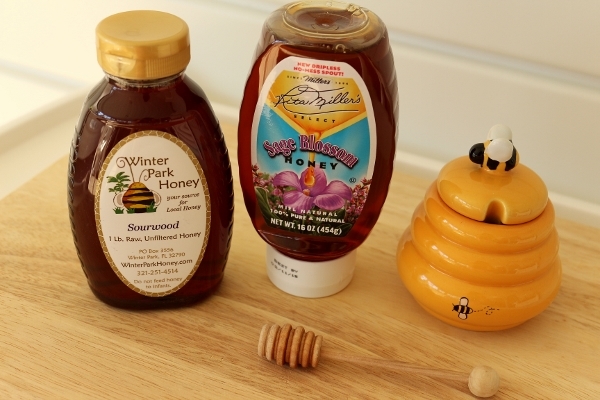 I thoroughly enjoyed both honey varietals, and am happy to add them to my collection! I would have never been inspired to try them if not for this book. With my sage honey in hand, I was ready to get working on that lemonade. It's refreshing but very lightly sweetened. It is decidedly more lemony than honey-y, and I decided to make a bit more of the simple syrup for sweetening simply to cut some of the tartness. The rosemary flavor definitely comes through adding an herbaceous note that makes this perfect for fall (I do love cold drinks year-round!). 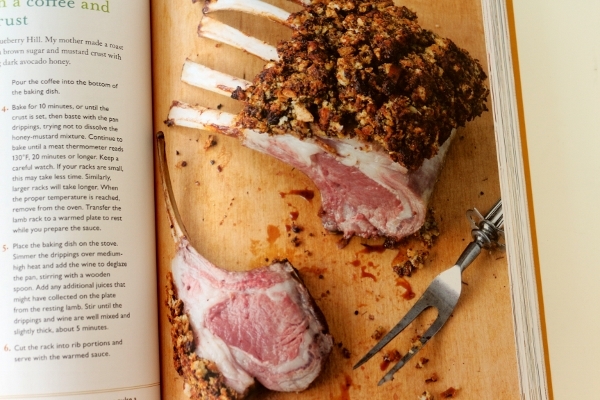 Overall, I found The Fresh Honey Cookbook to be an interesting read, but it didn't quite live up to my expectations. If you're looking to learn more about honey production and honey bees, then this book is worth a read, but for the recipes alone it doesn't really stand out in my vast cookbook collection. 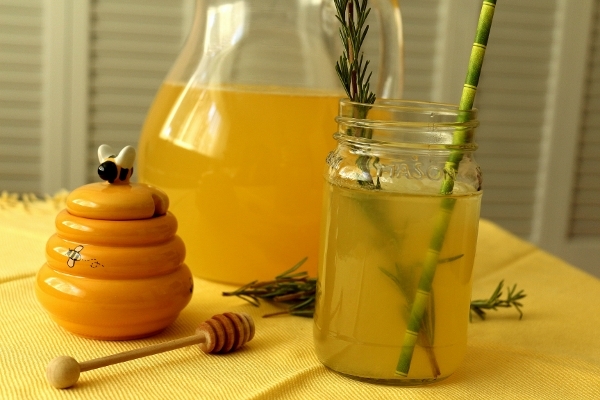 To make a simple syrup, combine the honey and 3/4 cup water in a small saucepan and bring to a boil over high heat. Turn off the heat. While the syrup is still hot, add 4 of the rosemary sprigs and let steep in the syrup until the syrup is at room temperature. Remove the rosemary and discard. Squeeze the lemons. 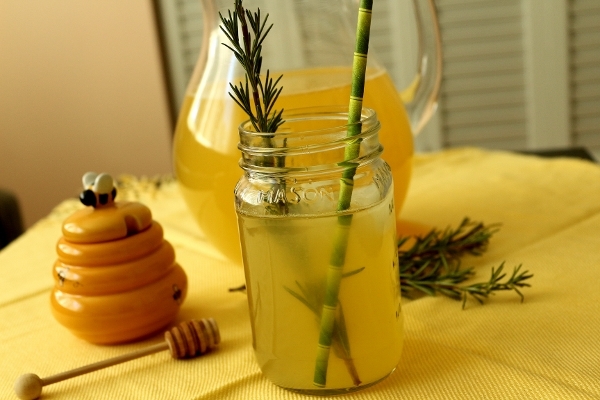 Combine the lemon juice with the warm rosemary syrup. Add 8 cups water to the mixture. To serve, fill each glass with ice and then pour the mixture into each glass. 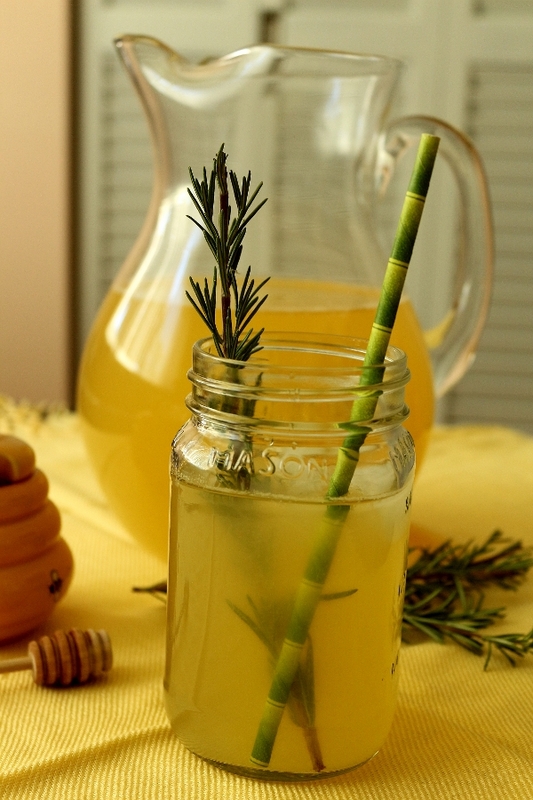 Add a sprig of the remaining rosemary to each glass.